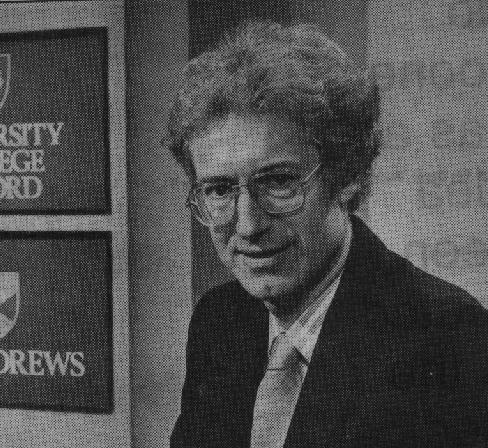 When we got 390 in the final in 1995 Bamber Gascoigne commented that it was one of the highest scores he could remember since the show began in 1962. This was then overtaken by Open's 415, beating their previous 395. Similarly, when Manchester won by 320 points, Jeremy Paxman declared it was the biggest winning margin in the show's history, a claim backed up in the ensuing newspaper articles. However, neither of these claims are true. In the first round of 1987, the final series before the show was cut by Granada, University College, Oxford beat Reading by 520 to 35. Bamber said that he thought that they had broken the previous record (held by a Leeds team from the 1970s) when they passed 440. Subsequently, the records were checked, and it was discovered they had amassed this with the help of 15 extra points from their opponents for buzzing early. As the rules were later changed to deduct points rather than add them, this meant their score was revised to 425. In 1977-8 Sidney Sussex, Cambridge beat Leeds by 400-170 and were told that this was the first time that 400 had been reached. Later, in the 1984 series Birkbeck, London notched up 430 in beating Exeter College, Oxford, which Bamber referred to as the second highest score of all time. Thus if Leeds' 440 was recalculated as 425 then Birkbeck's score was in fact the record at that time. Moreover, in the same series Magdalen College, Oxford scored 405 during their quarter final match. Bamber commented that this was only the fifth time that the 400 barrier had been broken in the show's 22 year history. The following year Open beat St Andrew's in the final with a score of 425, and Bamber stated that they were only 5 points off the record score. Note that during the Bamber Gascoigne era, bonuses were often worth up to 40 points rather than the usual 15, meaning that higher scores were possible. I've also discounted the 1986 and 1987 'pass-the-baton' games in which a different format was used and the scores for the day started at the final scores from the previous day. 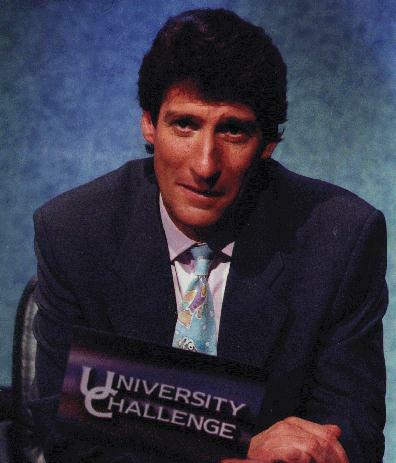 Thus the day after their record 520 score, University College, Oxford increased this to 930 by the end of their 'pass-the-baton' game, certainly the highest score that a University Challenge scoreboard has had to display. 7 St John's, Cambridge ? 1? 78? >405? Thanks to John Authers and Roger Mortimore of the 1987 University College team, members of Sidney Sussex, 1978, Philip Beagon of the 1984 Magdalen team, Stephen Pearson, captain of Manchester's 1996 team, Norman Hammond of Peterhouse, 1965, and Peter Cartwright for this info. At the moment, I can also conjecture that the highest losing score, and the highest aggregate score were both scored in the same match in 1987. In the semi-final match University College, Oxford beat the Open University by 405-335 giving a total score of 740!